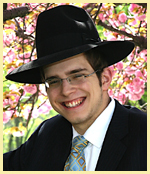 Shaya’s Yahrtzeit 5778 – Make it O’Fishel! This Shabbos will be Shaya’s 4th yahrtzeit. If everyone can take a little time out of their day to do something in his memory, it would bring an aliyah to his Neshama. You can also share thoughts and memories of Shaya with his family. Please email 2714bartol@gmail.com. Thank you and may Shaya’s Neshama have an aliyah.